NEW: Support act announced for Ed Sheeran’s ‘Divide’ Asia tour. He will be joined by special guests ONE OK ROCK. 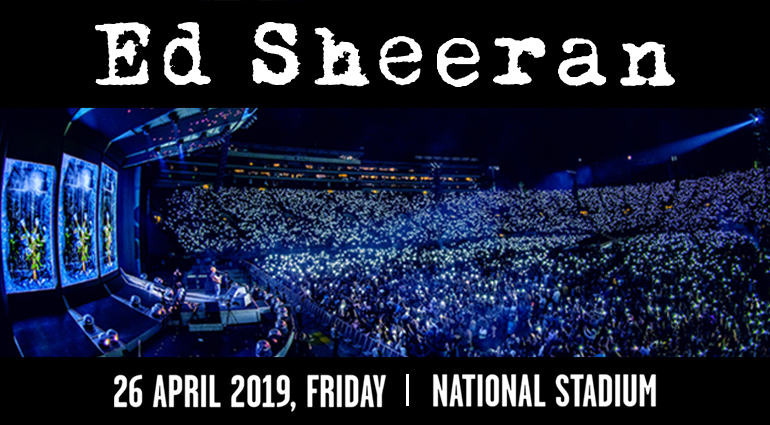 Global megastar Ed Sheeran will return to Singapore for a new stadium headline show on 26 April 2019 (Friday) at the National Stadium. Tickets for general sale will commence at 10am local time on 25 October 2018 (Thursday) via www.sportshubtix.sg, hotline +65 3158 7888, Sports Hub Tix Box Office* and all SingPost outlets. For full details on the policy and rules on ticket purchases and entry for this show, please refer to the TICKET PURCHASE GUIDE. 1. 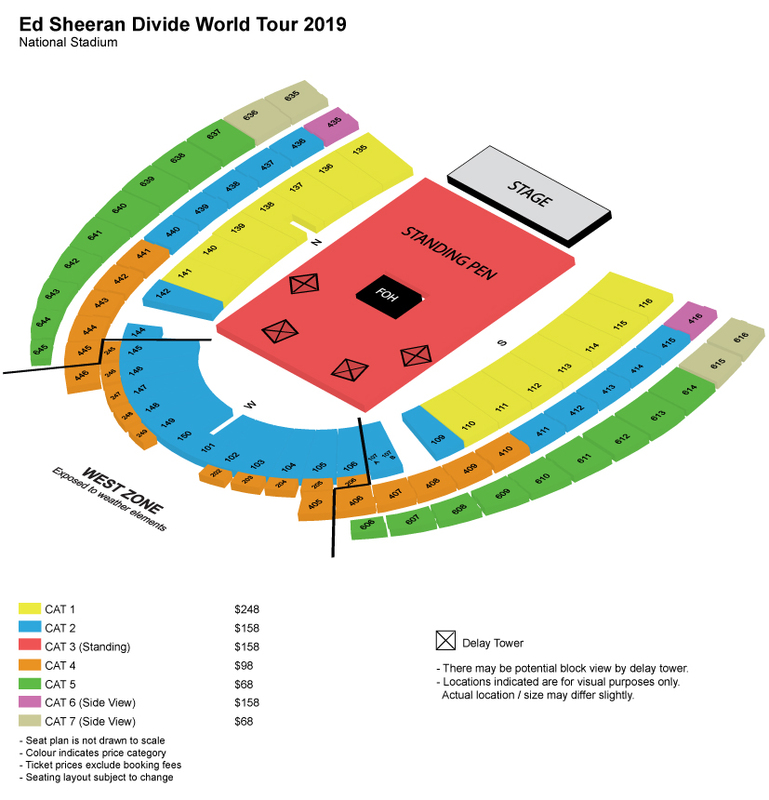 Your ticket purchase constitutes a personal license to attend the Ed Sheeran Divide World Tour 2019 Singapore concert. By purchasing a ticket you agree to your personal data collection and usage, and you agree to and are bound by the Ticketing Terms & Conditions applicable to this event. 2. Your ticket(s) are sold by the promoters directly to the consumer. Any tickets purchased by business or traders in breach of the terms and conditions of ticket sale and may be invalid. 3. Tickets can only be purchased from Sports Hub Tix. Any tickets purchased from third party websites and resellers are not valid for entry. 4. Each Sports Hub Tix account holder is limited to a maximum number of 4 tickets. No multiple transactions under the same account are allowed. 5. Tickets will be personalised and will have the name of the ticket purchaser (account holder) printed on them. The name registered to and printed on the tickets cannot be changed. Please ensure that your full name as per your Photo ID is provided when creating the Sports Hub Tix account to make the purchase. 7. All physical tickets and ‘Print-At-Home’ E-tickets will only be made available and issued 7 DAYS BEFORE the day of the show (from 19 April 2019 onwards). Upon purchase of ticket(s), you will only receive a booking confirmation email / letter. No admission for infant in arms and children aged below 6 years old. Children aged 6 and above must purchase a ticket for admission. Children under 12 years and/or height 120cm are not allowed into the standing areas. Photography and videography are not allowed.